Large version of the classic George Wallace school bus campaign pin. 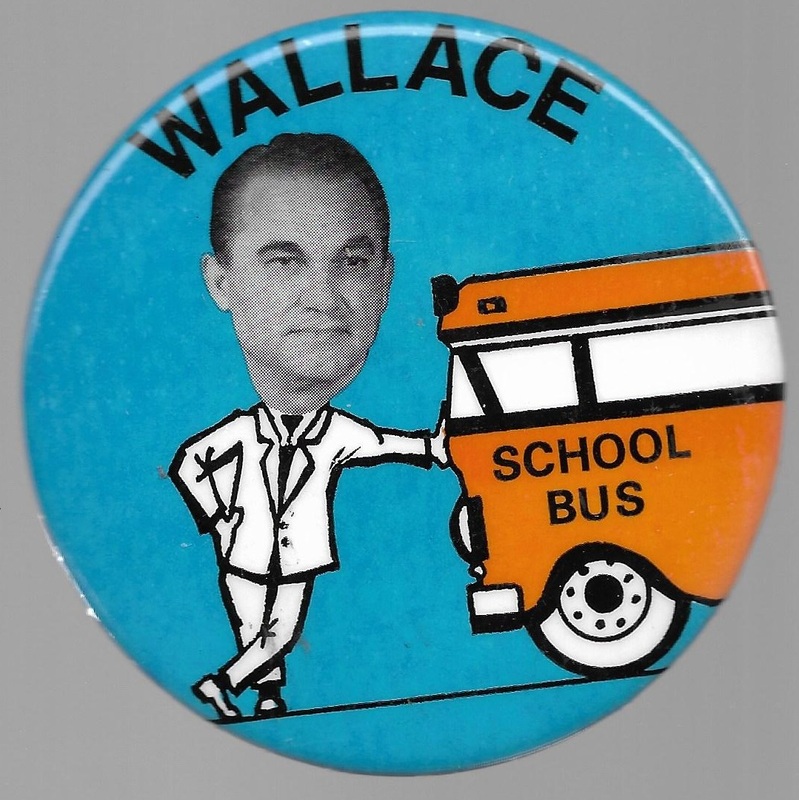 This 3 1/2 inch celluloid with super cartoon design shows Wallace's opposition to forced busing. Excellent condition.